Gardening is fast emerging as the go-to hobby for the modern urban youth. While it sounds like a demanding pastime because of the rigorous hard work, immense patience and careful precision that it involves, gardening can actually be a great way to detox and decompress after a taxing day. Gardening also helps you do a small bit towards ameliorating the environment. Besides, plants brighten and cheer up apartments like nothing else. Despite these swell reasons to pick up a shovel and start planting, a lot of people shy away from doing so, due to a principal problem which affects many urbanites – lack of space. However, the advent and popularisation of the DIY spirit has opened various innovative avenues for gardening lovers to overcome this major setback. Here, we’ve compiled some awesome ways by which you can spruce up your homes. 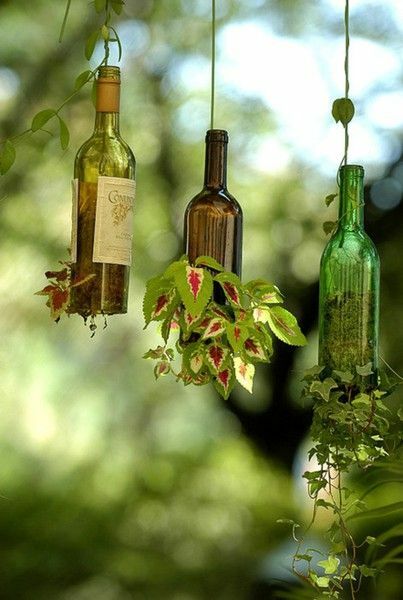 Why discard empty wine bottles when you can make them into beautiful planters like these? 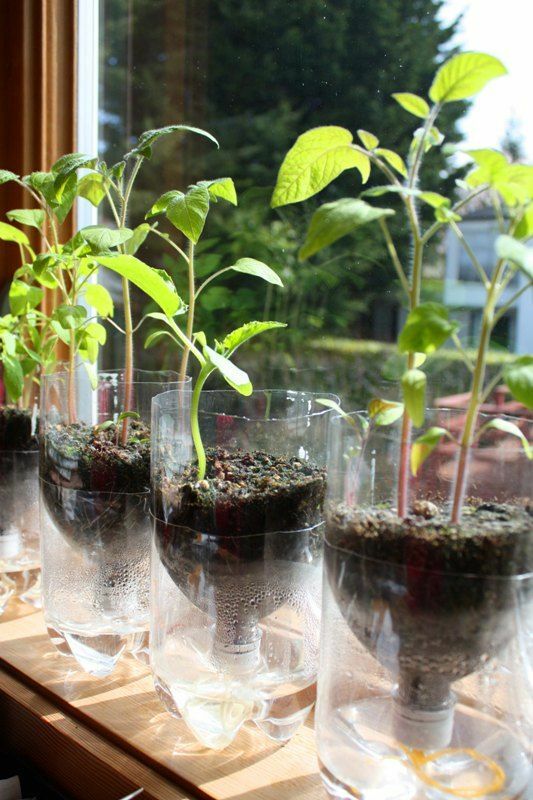 Plus, you can upcycle them into self-watering planters too. To make these, you’ll have to cut up your old wine bottles into two halves, the section with the neck of the bottle being shorter than the body. Now, take about 25cm of string and tie it to a piece of wire mesh. Attach this to the ring of the bottle and then place the neck upside down in the other half. Place your sapling in the neck and fill it with soil and water. Et voila! Your self-irrigating wine bottle planter is ready. 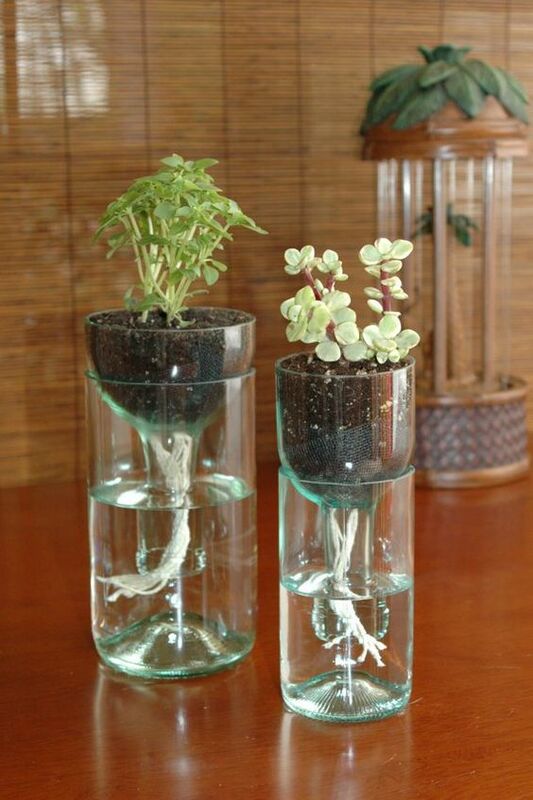 Alternatively, you can also make these self-irrigation planters using throwaway plastic bottles. Get ready-made wine bottle planters on Amazon. Get wine bottle glass cutters on Amazon. 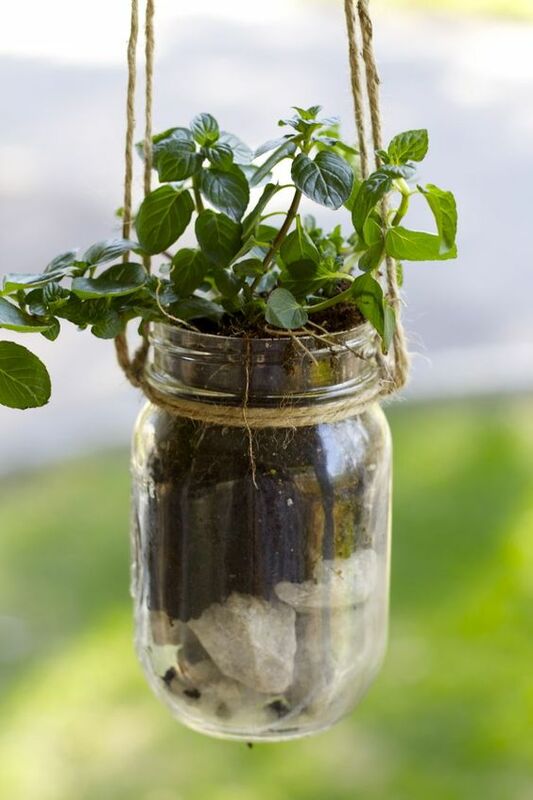 Clear glass jars like mason jars can be great quirky alternatives if you don’t want to go for earthen pots. You can even paint them if you wish. Get mason jars on Amazon. 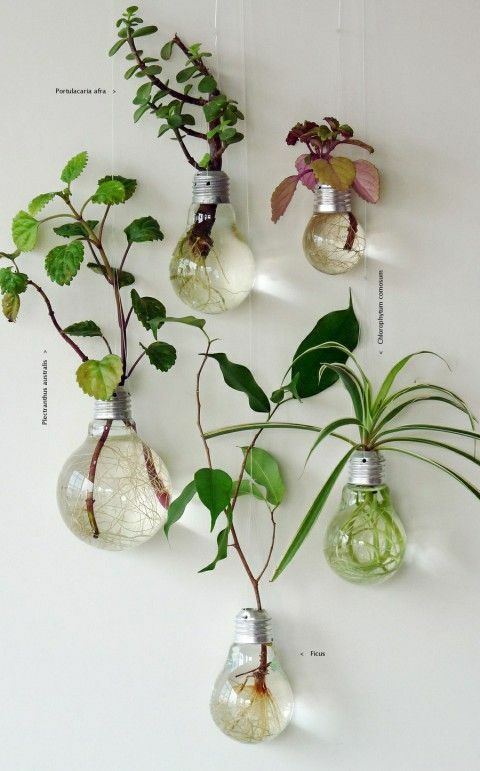 To repurpose old incandescent bulbs into unique mini-planters, simply remove the filament and place the plant inside the light bulb, along with soil and water. You can hang the light bulb planters with a thick rope or you can mount them on a stand. Get hanging light bulb planters on Amazon. 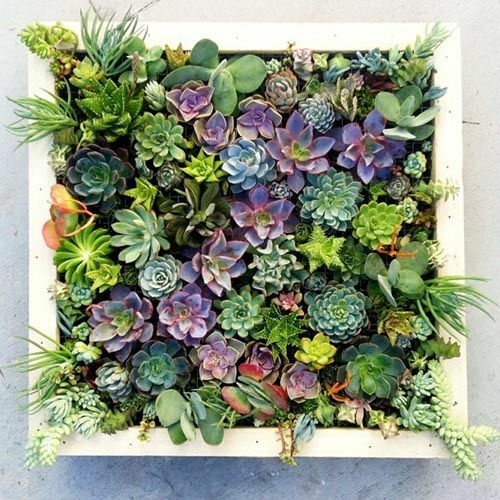 Make a gorgeous vertical succulent garden using an old frame! Saves space whilst jazzing up a boring monochromatic wall. Get picture frames on Amazon. Get wire mesh for the base of the frame on Amazon. Get live succulents on Amazon. 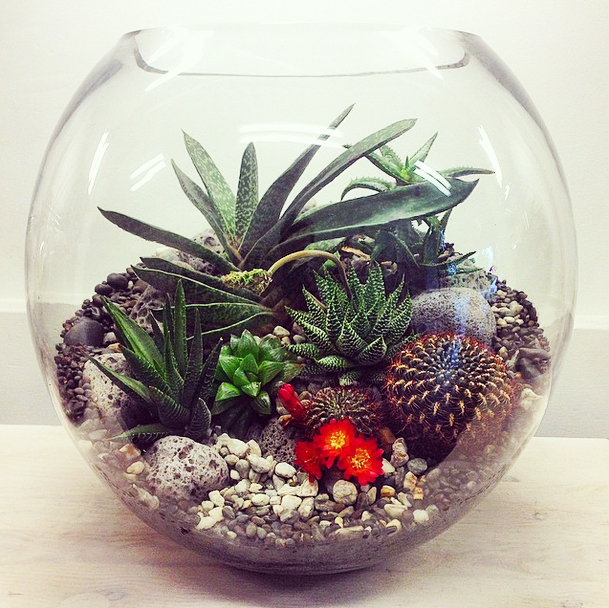 Terrariums are the new craze among avid horticulturalists. They are basically mini-gardens or tiny ecosystems. The fun part is that they’re extremely easy and simple to make. Take an old glass container with an open top, like a fish bowl or an old aquarium. Firstly, fill the container with rocks and pebbles; this will act as the drainage layer. Next, sprinkle some activated charcoal over this layer; this will help in preventing bacterial infestation. Add soil next, and then you’re welcome to plant anything in your DIY terrarium, ranging from tropical plants, ferns to cacti and succulents. 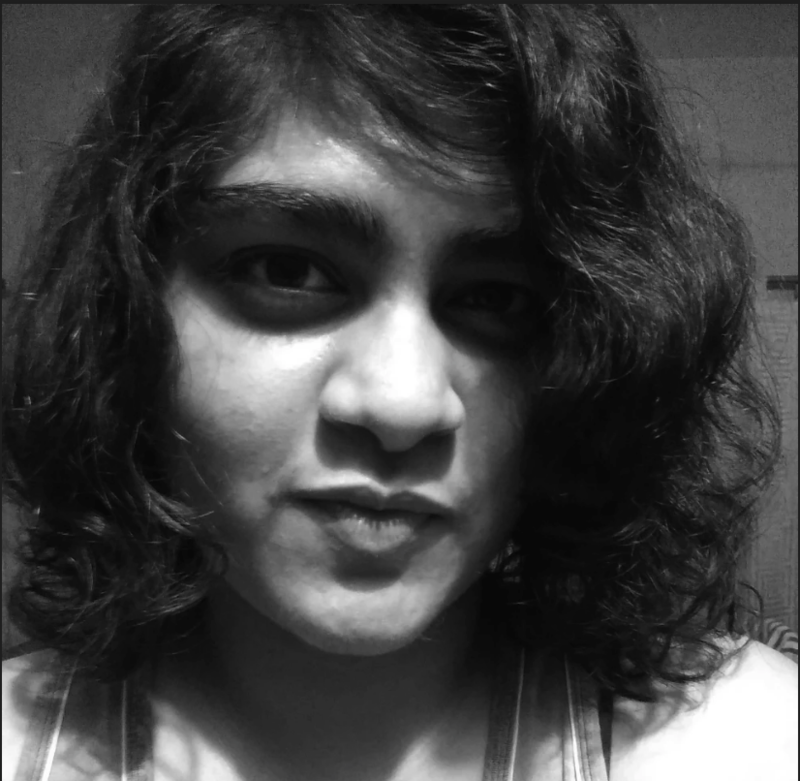 Get activated charcoal on Amazon. Get potting soil on Amazon. 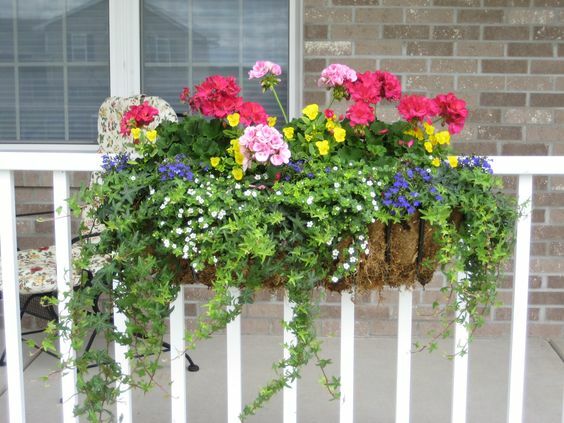 Using railing planters is another way to avoid the pesky problem of space. You can fasten these to the railings of your balcony or the grill of your windows, thereby leaving you with a sufficient room. Get railing planters on Amazon. 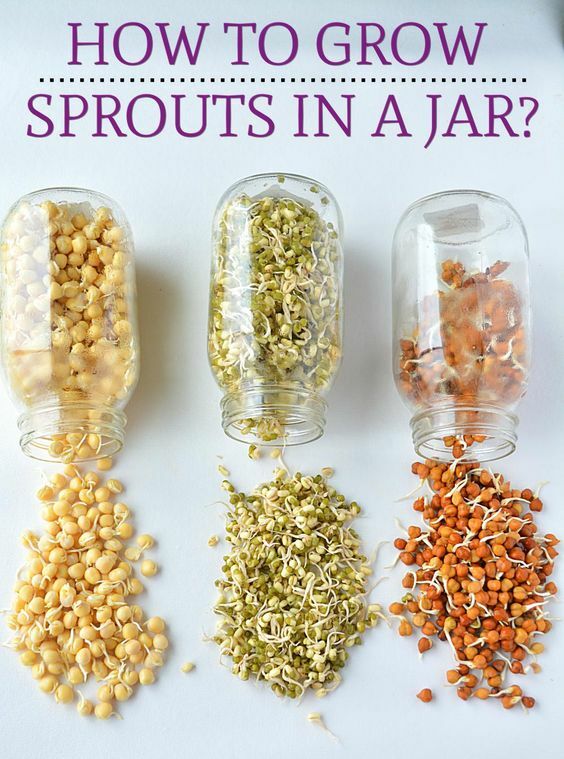 Grow nutritious, pesticide-free bean sprouts at home by soaking moist beans in a jar. 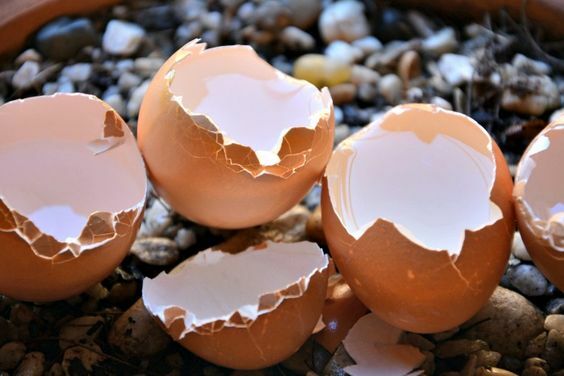 Egg shells are natural fertilisers which enrich the soil with calcium, essential for plant cells’ growth and development. 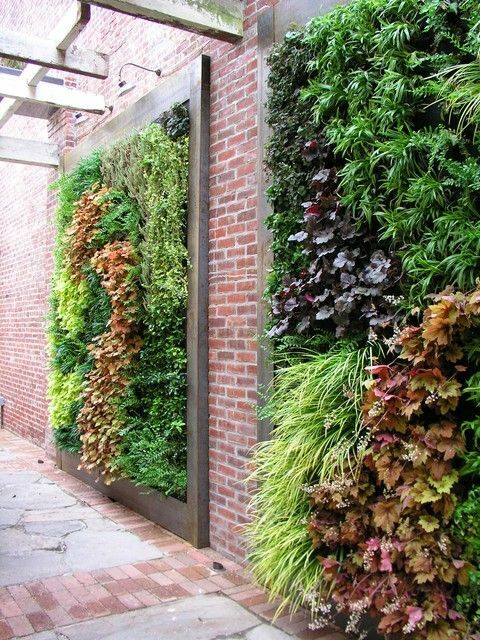 Beat the frustrating space crunch problem with these marvellous vertical garden ideas! Get wall frames and planters on Amazon. 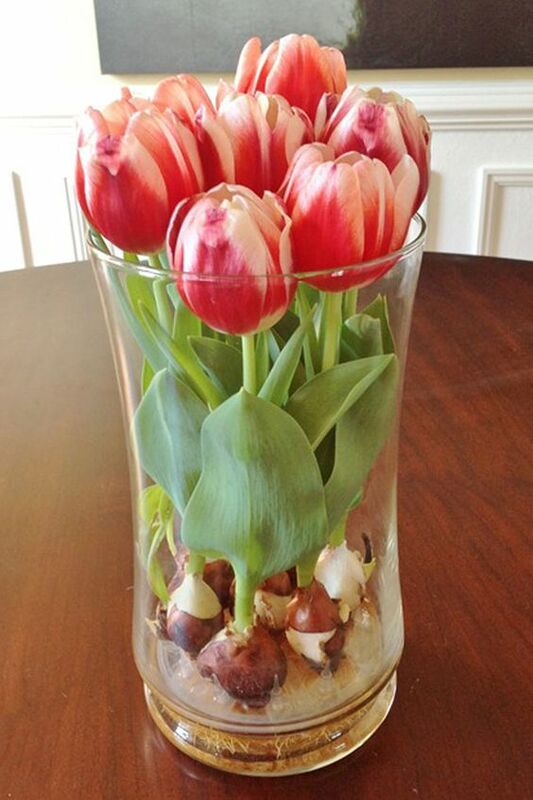 Avoid all the hassles associated with soil preparation and turning by growing tulips in vases. Get yellow tulip bulbs on Amazon. 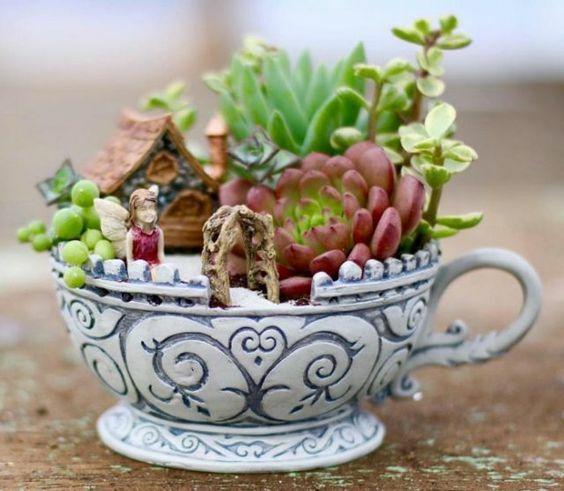 Broken and old tea cups could serve as adorable planters for small herbs and succulents. Get readymade tea cup planters on Amazon. Reuse your coffee grinds as an organic composting agent. 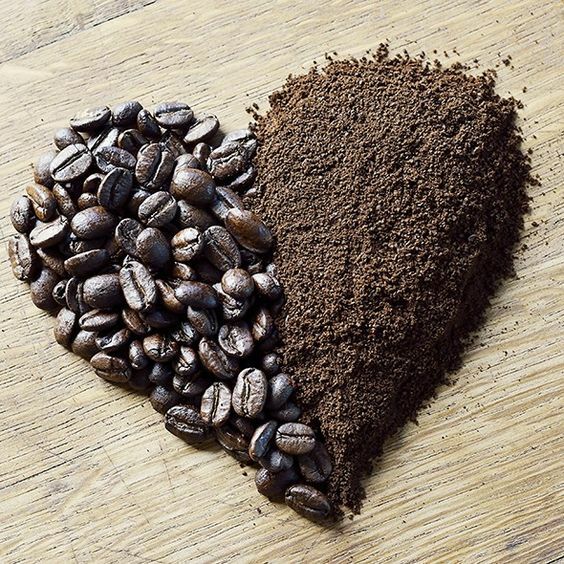 Coffee is an excellent source of nitrogen for plants and also functions as a pest repellent. 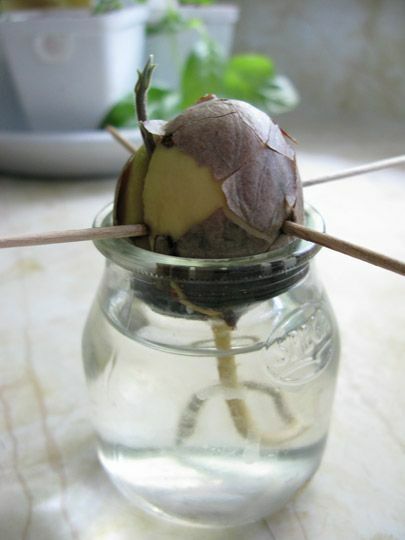 Did you know that you could grow an avocado tree just by using the pit which you were going to throw away? Make beautiful flower pots and vases using cement. Not only will they give a cool rustic look to your interiors but also serve as more robust and ecologically sustainable alternatives to fragile earthen ones. 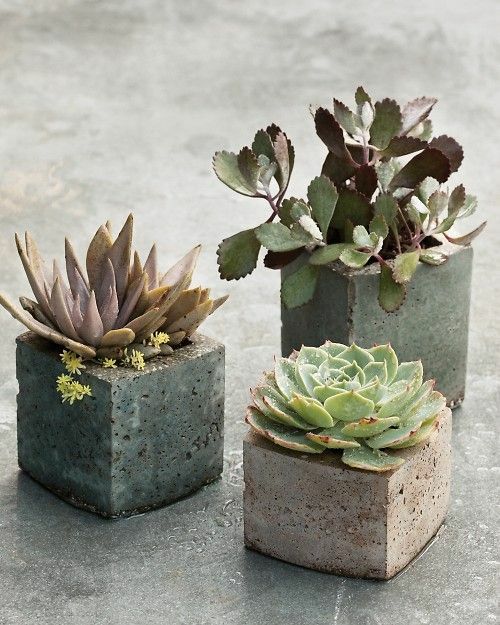 Get readymade cement planters on Amazon. 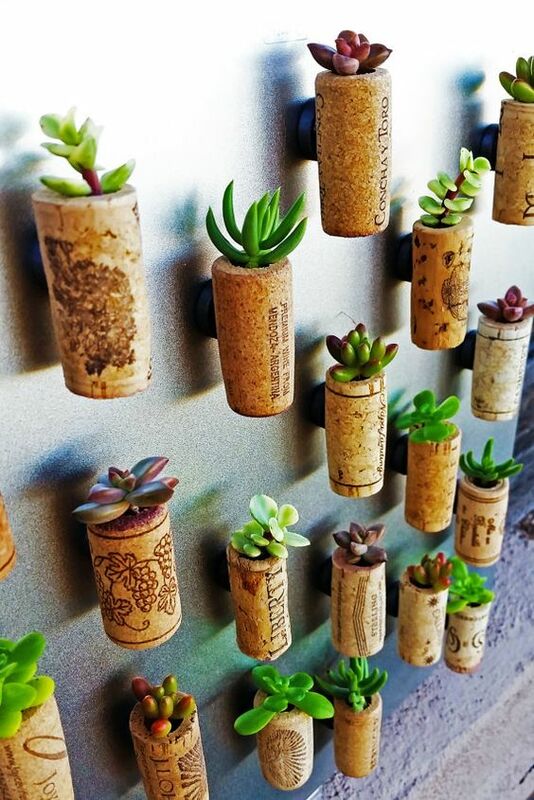 Recycle wine corks into beautiful tiny planters! Attaching magnet at the back turn them into chic fridge magnets. Get wine corks on Amazon. Incorporating some of these home gardening tricks will surely help you in dolling up your apartment, but in an ecologically viable and inexpensive manner. Flutur is committed to reducing earth’s carbon footprint and to that effect, we have partnered with Liter of Light, Bangalore, to provide low-income households with access to inexpensive, eco-friendly solar lamps. Help Flutur on its mission to enlighten lives by downloading the Flutur New Tab Chrome Extension now.